In February 1945, American Marines plunged into the surf at Iwo Jima—and into history. Through a hail of machine-gun and mortar fire that left the beaches strewn with comrades, they battled to the island’s highest peak. And after climbing through a landscape of hell itself, they raised a flag. Now the son of one of the flagraisers has written a powerful account of six very different young men who came together in a moment that will live forever. 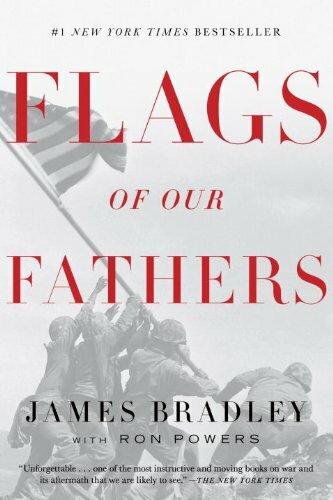 Flags of Our Fathers was my favorite book of 2016. I really enjoyed learning about the men from the famous picture of the flag being raised on Iwo Jima. While this story is very intriguing, there was a lot of military content. Battles scenes and dead bodies are described and there is quite a bit of language. This book really discussed the men who fought the Japanese and how much worse the Japaneses were to fight then the Germans. If you enjoy WWII history, I think you will enjoy this book!